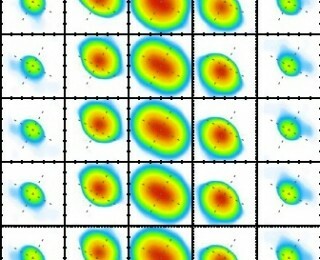 Amid all of the swirling chaos during star formation, the universe finds a way to order its diffuse gas into shining young stars. 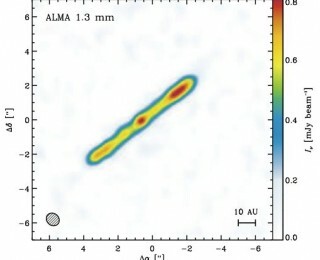 ALMA Science Verification observations give new insight. 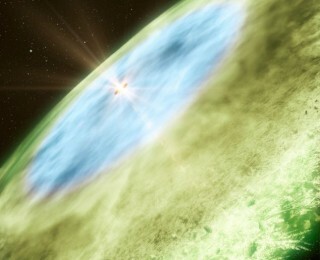 Molecular outflows are important components of the star formation process. These authors present observations of a butterfly-shaped outflow in Orion, and present several possible scenarios for this morphology. 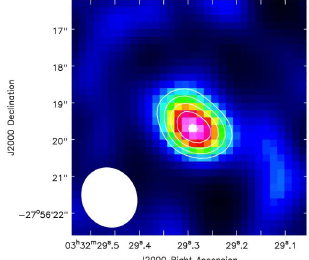 This paper presents ALMA observations of the first ever measurement of both ionized nitrogen and carbon for the galaxy “LESS J0332”, which is determined to be at a redshift of 4.76 and have a metallicity similar to that of our sun. 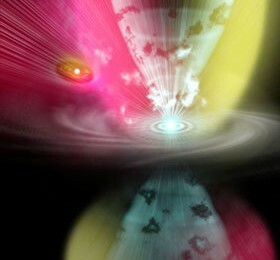 This suggests that the galaxy at a much earlier time in the universe had already evolved quite a bit.